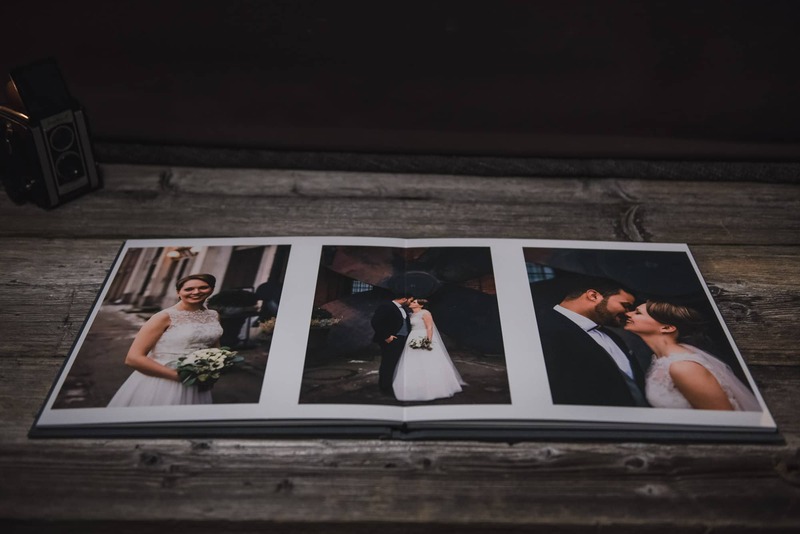 Even though the pictures from your wedding will look great on a computer screen, I believe the story of a wedding is best told in book form. 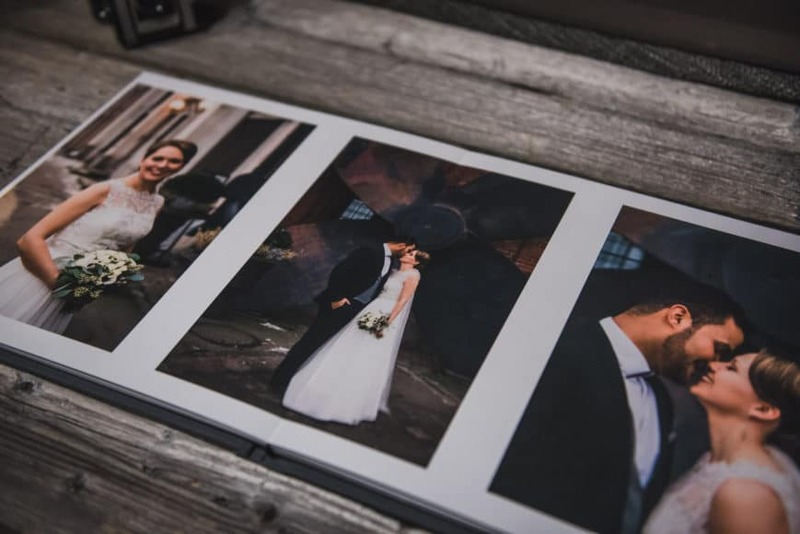 These wedding albums serve to bring the highlights of your wedding story to you and your family in an elegant, tangible package. 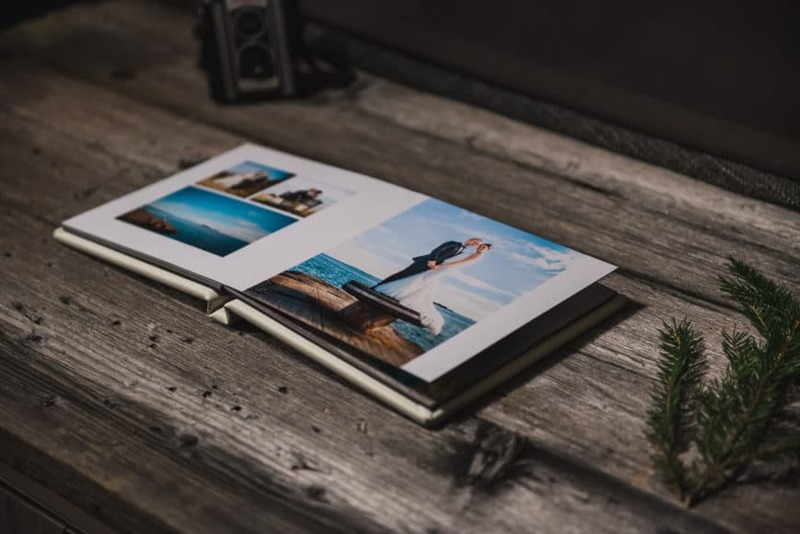 These albums are not your typical local photo store picture books. 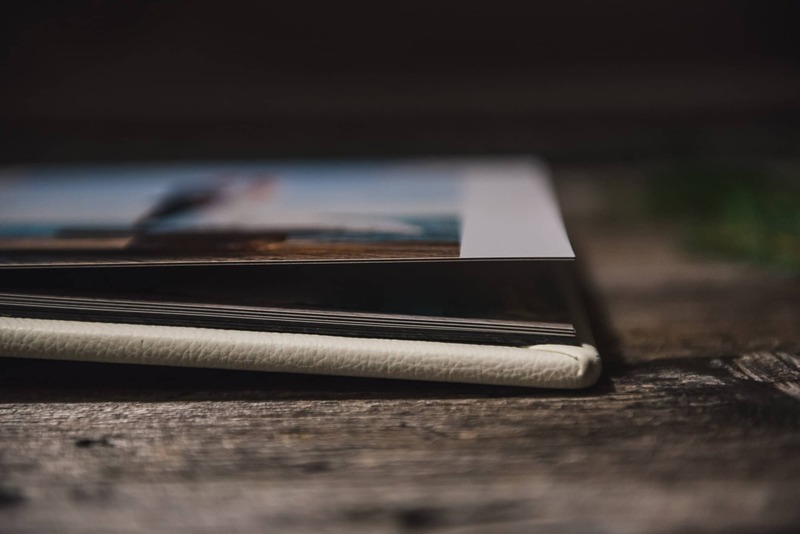 The pictures are printed directly on thick, high-quality photo paper. 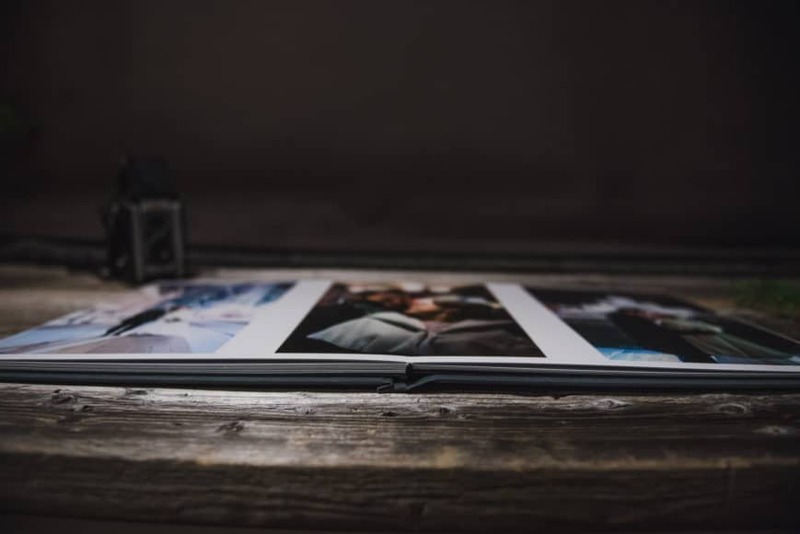 The pages lay flat so that no obvious crease is visible between pages, meaning that images can be placed on the centerline of the page with no issues. The album design process begins with me creating an initial layout draft. 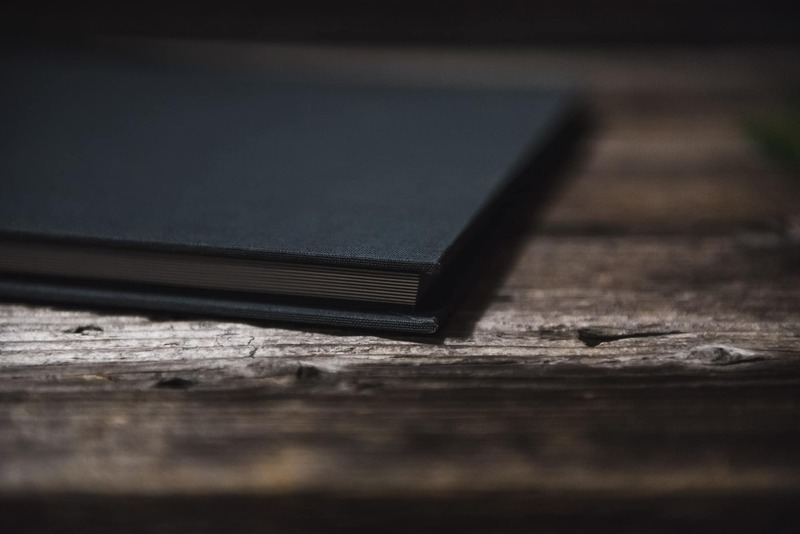 I will send the draft to you as a PDF document, then you will have the opportunity to request any changes to the draft. This cycle will continue until we have an album that you are happy with. 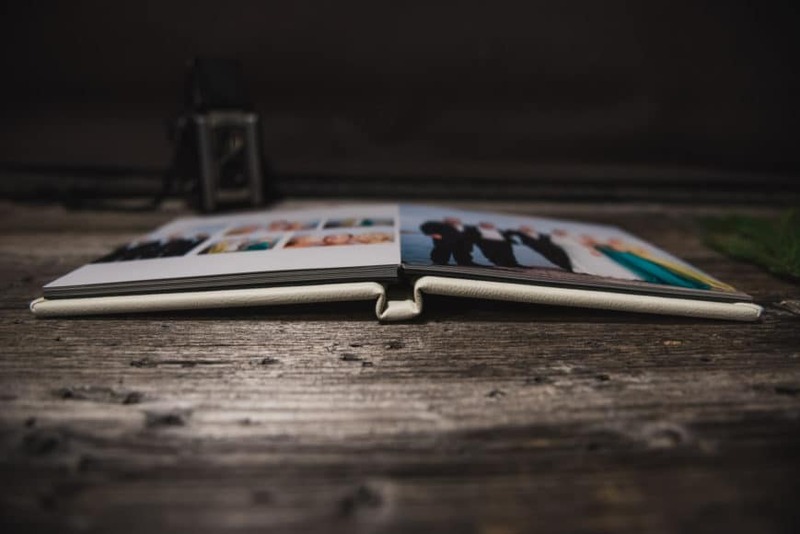 Generally, albums contain 20-26 pages (10-13 spreads) and feature between 40-60 photos. 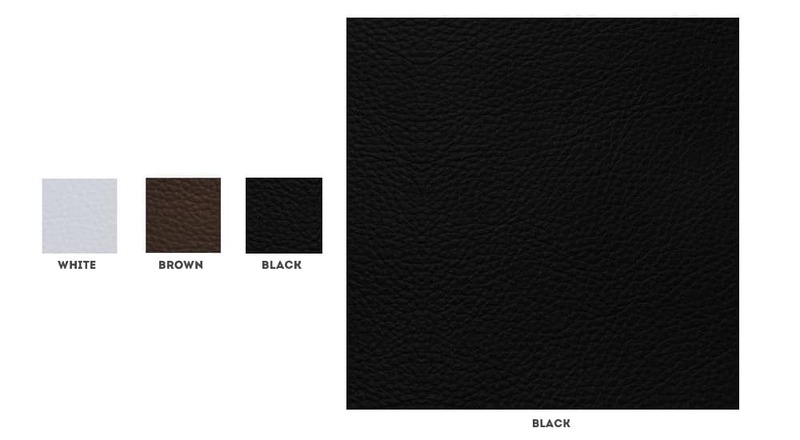 I design albums with unlimited drafts, and the final design is always approved by you before the albums are ordered. 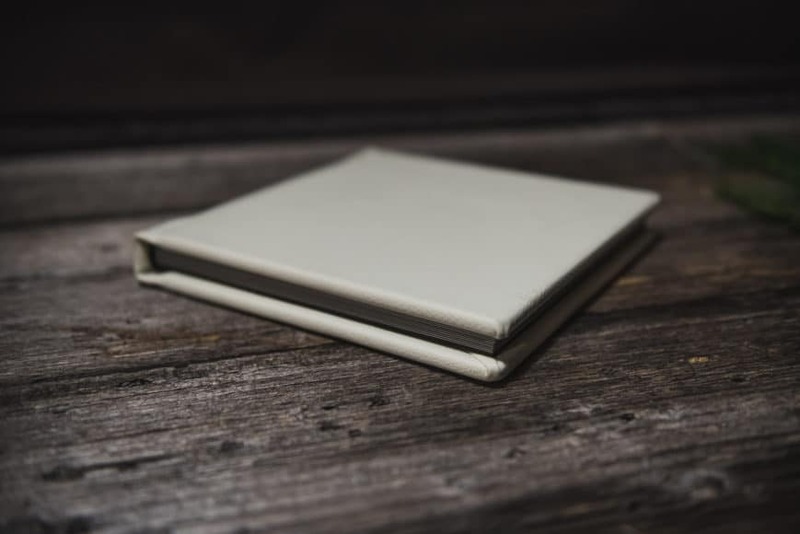 Albums come in two sizes: 30x30cm (12×12 inches) and 20x20cm (8×8 inches). 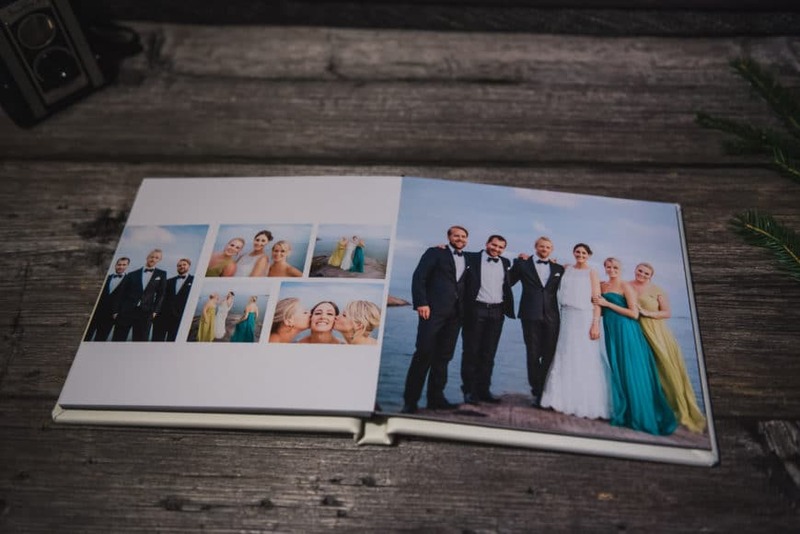 The large album is a great album for the wedding couple, with the small album being perfect for gifting to parents and other family members. 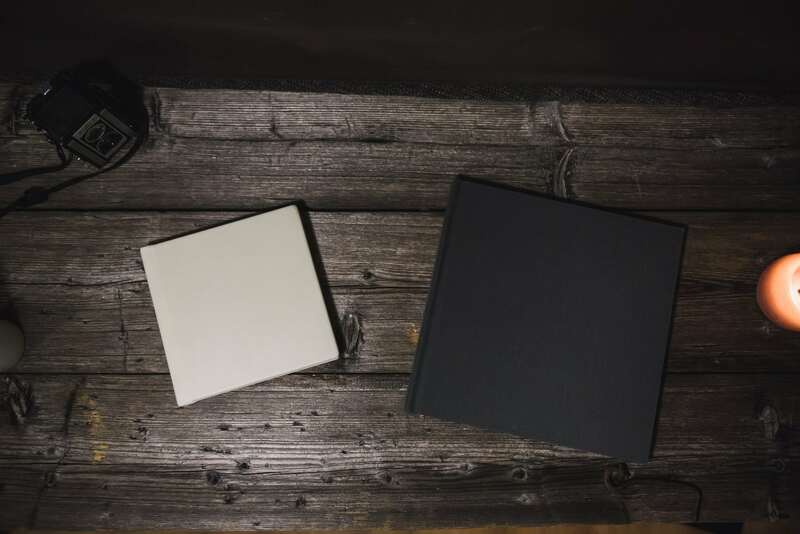 A 30x30cm album with a gray linen cover (left) and 20×20 album with a white leatherette cover (right). 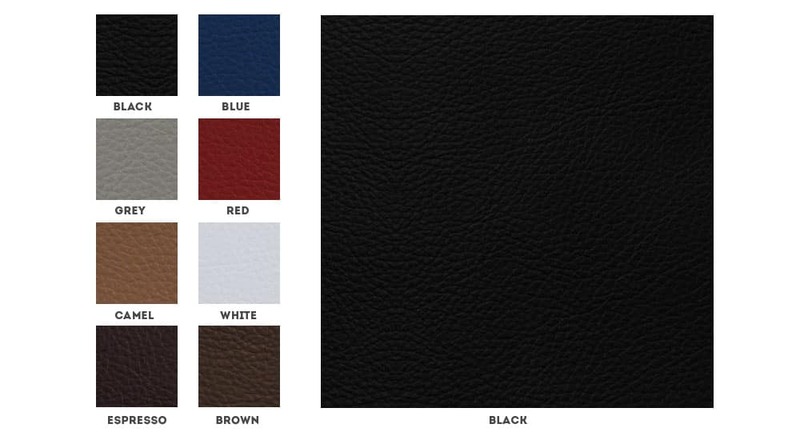 There are three choices for cover materials on the albums: leather, leatherette, and linen, with multiple color options for each material. 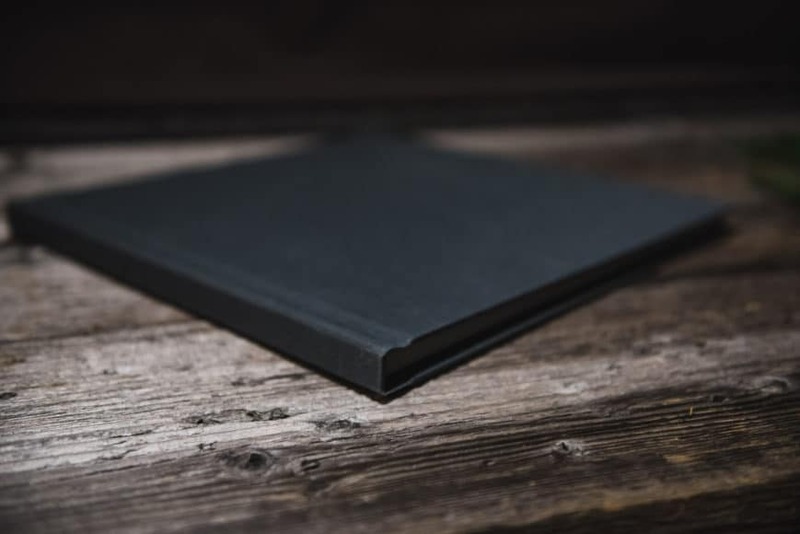 The 30x30cm album pricing begins at 280€ (with 20 pages and a linen or leatherette cover) and 20x20cm albums begin at 150€. 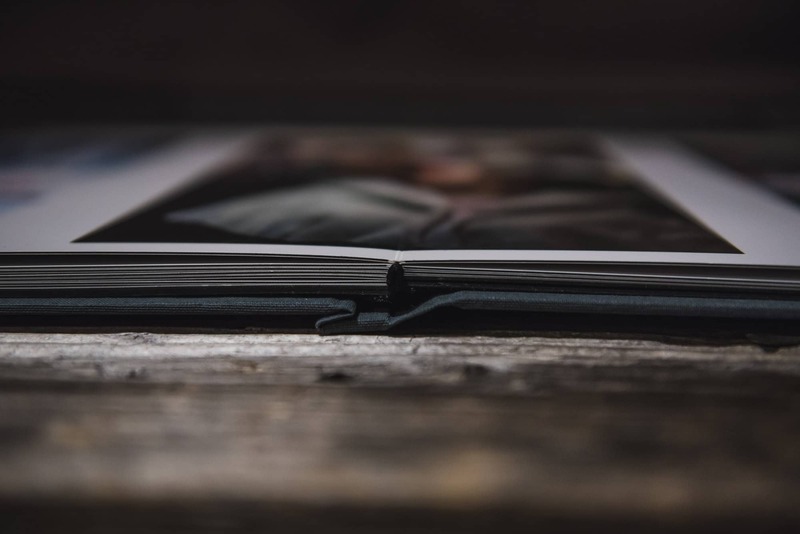 In addition, there is a flat 175€ fee for album design and layout, which includes up to 15 spreads and unlimited drafts. 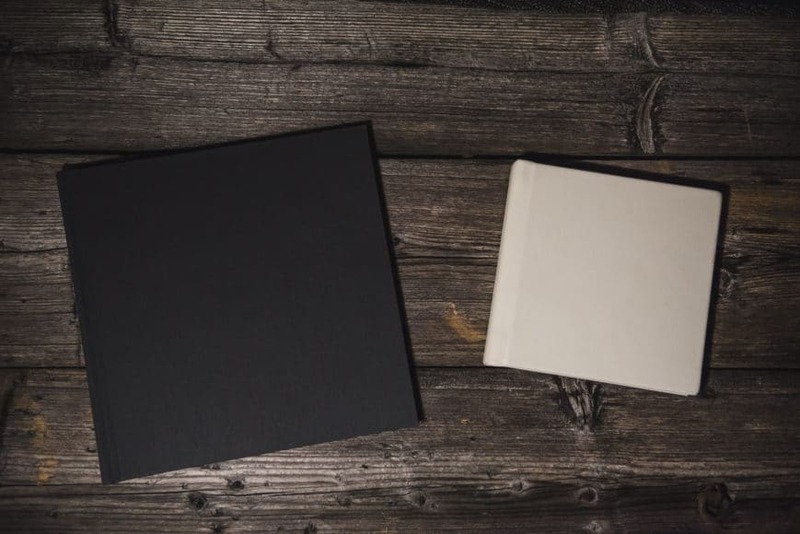 If you order 4 or more albums, you will receive a 10% discount on your entire order. 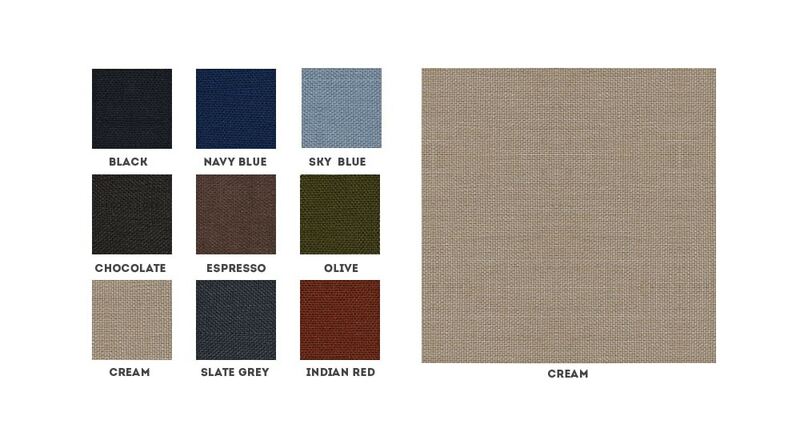 Please contact me to schedule a meeting to discuss further details and see sample albums in person.